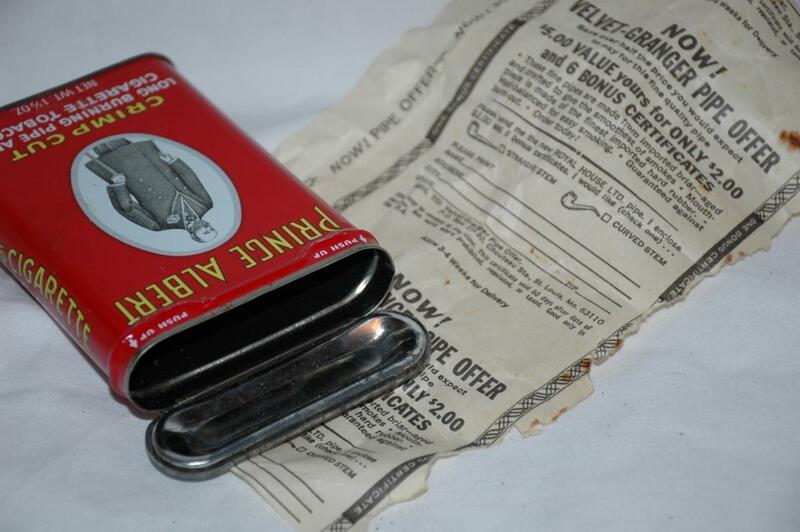 Vintage Prince Albert Crimp Cut cigarette tobacco made by R.J. Reynolds. 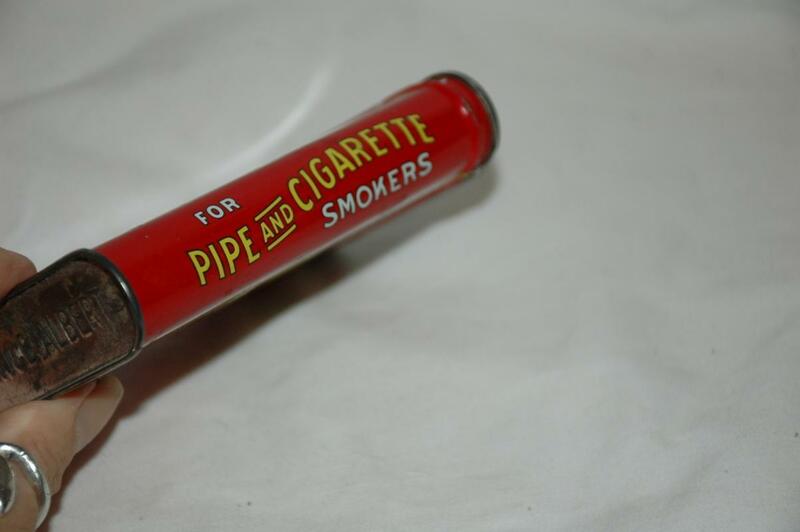 This tin is in excellent condition and is 1 1/2 oz. size. Comes with the orignal paper insert. 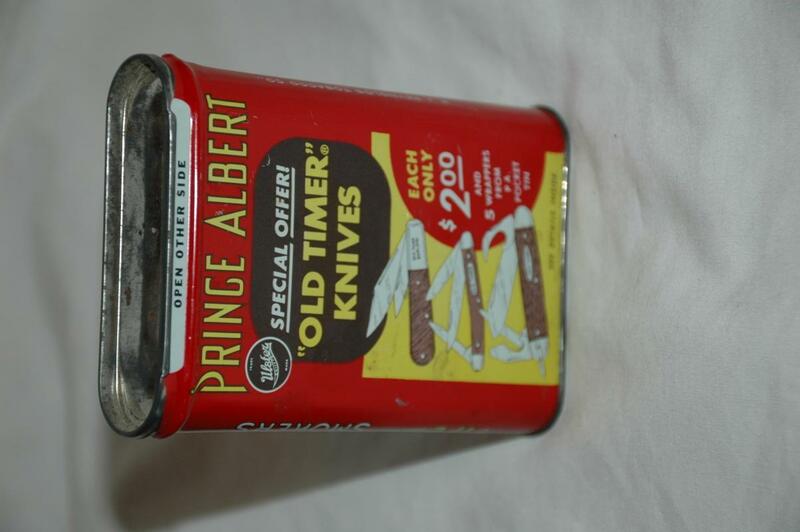 The back has a promo for a special offer to buy a "OLD TIMER KNIFE". 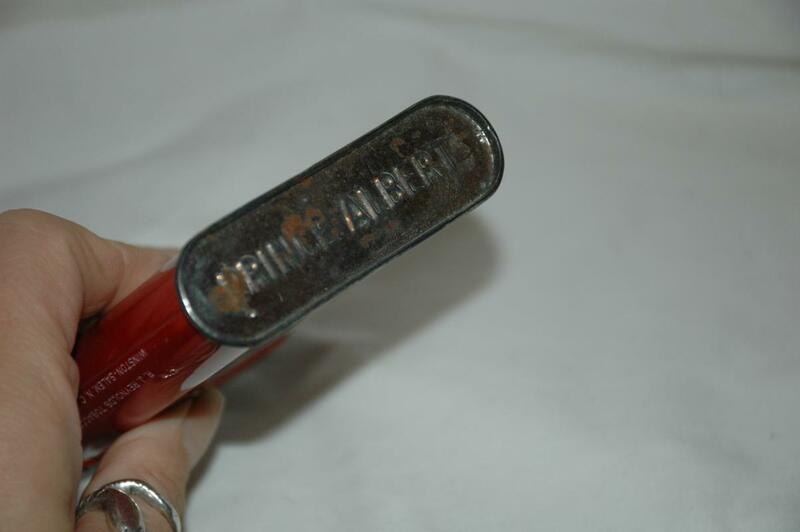 There is some tarnish on the silver / tin lid and bottom.. The graphics are in excellent condition. 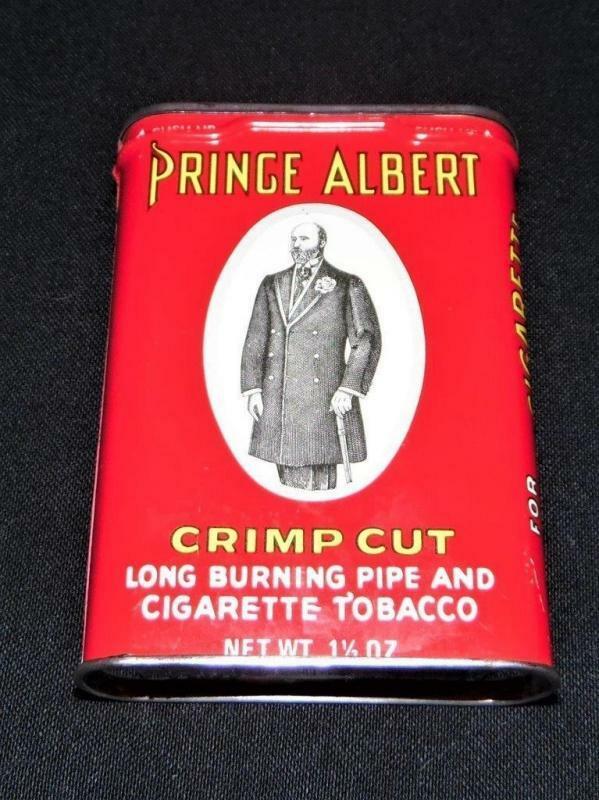 Items Similar To "Prince Albert Crimp Cut Long Burning Pipe Cigarette Tobacco Tin w..."